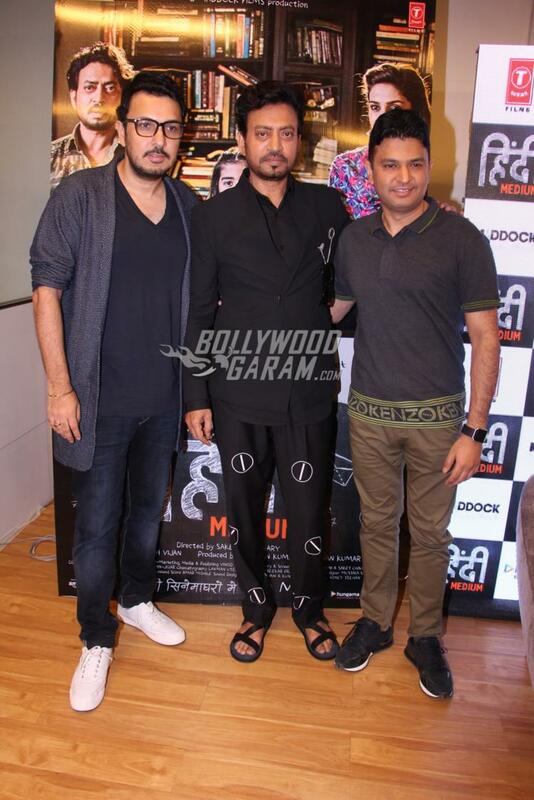 Makers of the movie Hindi Medium along with actor Irrfan Khan launched the official trailer at an event in Mumbai on April 6, 2017. 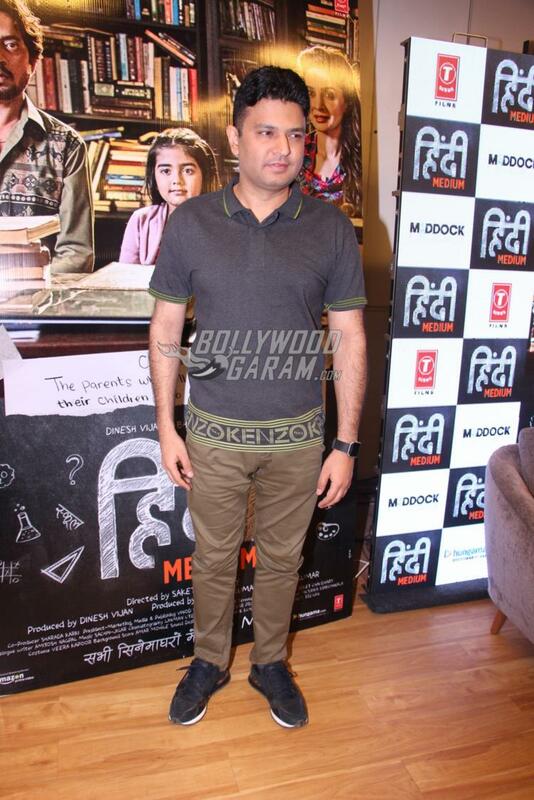 The launch event also saw the presence of co-stars Dinesh Vijan and Bhushan Kumar. The upcoming comedy drama movie is based on the struggle of academic admissions faced by the parents for their children, in modern times. 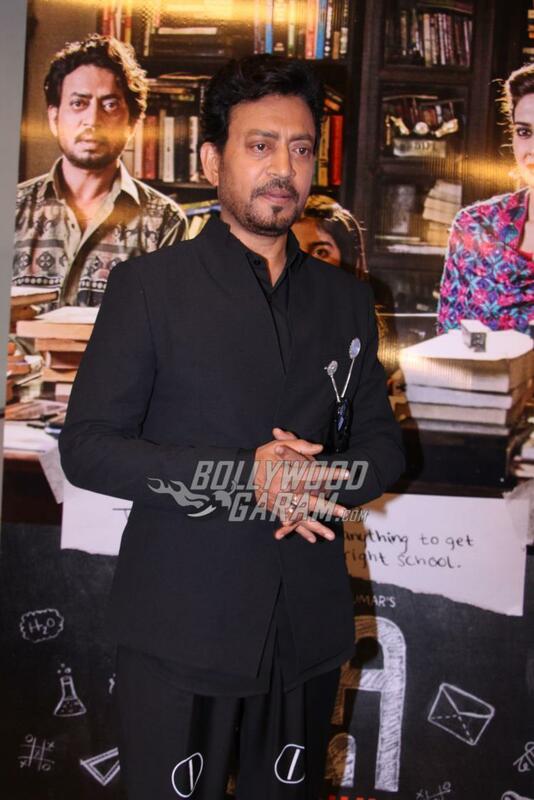 The trailer shows Irrfan Khan and Saba Qamar as parents to a daughter and how they try their best to admit their child in to a good school. The makers have narrated the plight of the parents these days and how they struggle to find a good school and how they have to undergo interviews to evaluate the children. As any parent who has gone through the stress and hassle of trying to provide your children with the best academic facilities and a good education, this one’s for you! The film takes a realistic look into the lives of families and is a must-watch! Actress Amrita Singh can be seen playing the role of a school principal. 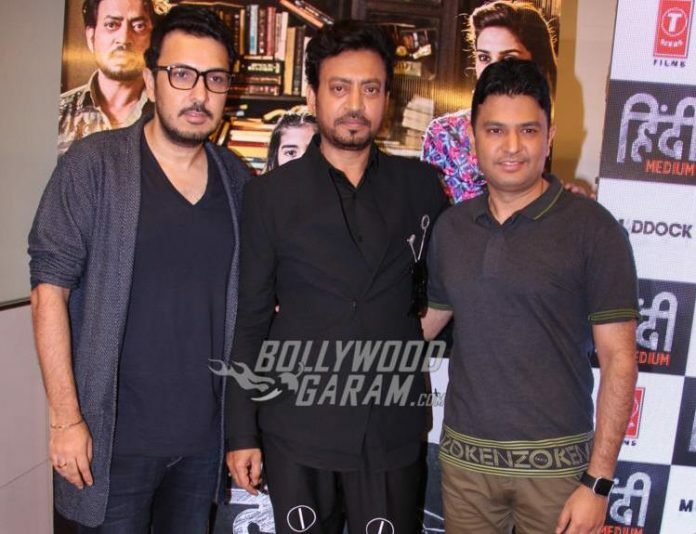 The upcoming movie is directed by Saket Chaudhary and is produced by Dinesh Vijan and Bhushan Kumar under the banner of T-Series and Maddock Films. Hindi Medium also stars Deepak Dobriyal, Jaspal Sharma and Vijay Kumar Dogra. Hindi Medium releases on May 12, 2017. Previous articleLegendary Vinod Khanna suffering from bladder cancer? Next articleAdel Sajan and Sana Khan cruise wedding celebrations begin today!